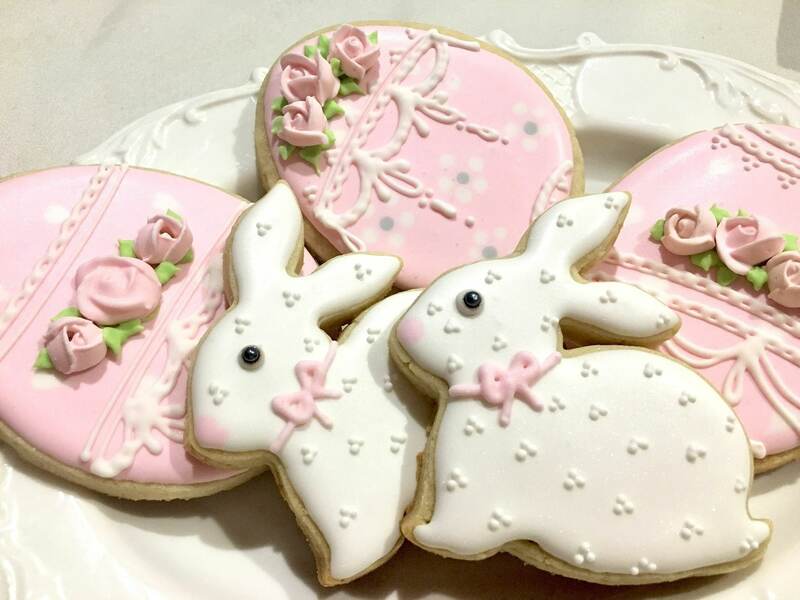 This listing is for a dozen of bunny and egg cookies. They are iced and decorated with royal icing and sugar pearl dragees. These bunnies and eggs are lovely! I could not be happier with this purchase. Not only are they beautiful they a yummy too. These are my favorite cookie in the world. Well packaged so there was no breakage. Thank you so much.